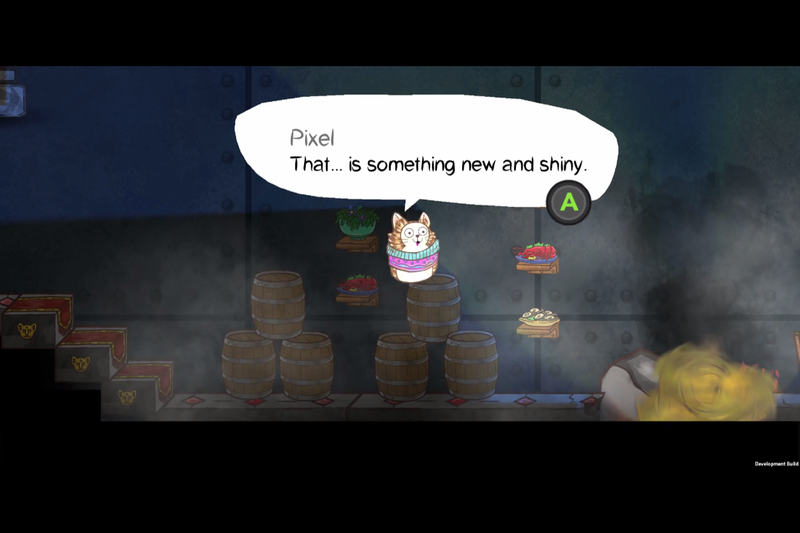 Purrtato Tail is a Puzzle Metroidvania about Potato Cats on the Isle of Moar. Featuring a watercolor 2D story-driven adventure with character-connecting gameplay, RPG elements and 15+ hours of feline-themed tater adventure. Step into the paws of Pixel - queen of the Purrtatoes - as she jumps, walks and talks to interact with the world and its vege-feline denizens. Her fellow Purrtatoes help out by joining her party and linking together to form bridges over ravines, ramps to high ledges and more. 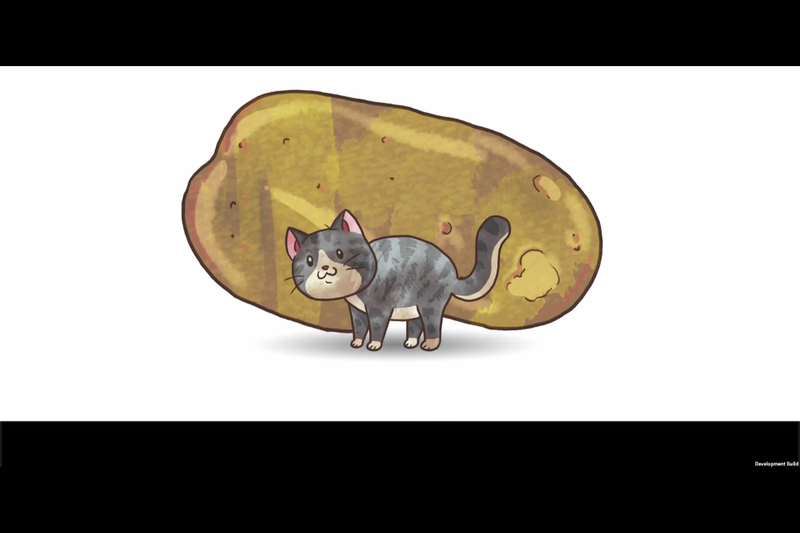 Each Purrtato even has a unique ability that can be used to perform tasks such as operate levers and cut ropes. Queen Pixel will take on adventure, using her Purrtatoes to navigate the treacherous world outside the safety of her castle home. Something new to the Isle of Moar has broken into her castle and kidnapped her most trusted and secretive adviser - The Elderstar. Why would they take him? What do they want with him? And who are they?? For the first time in over 20 years, Pixel must leave the safety of her castle home to rescue her friend, along with the very world itself. 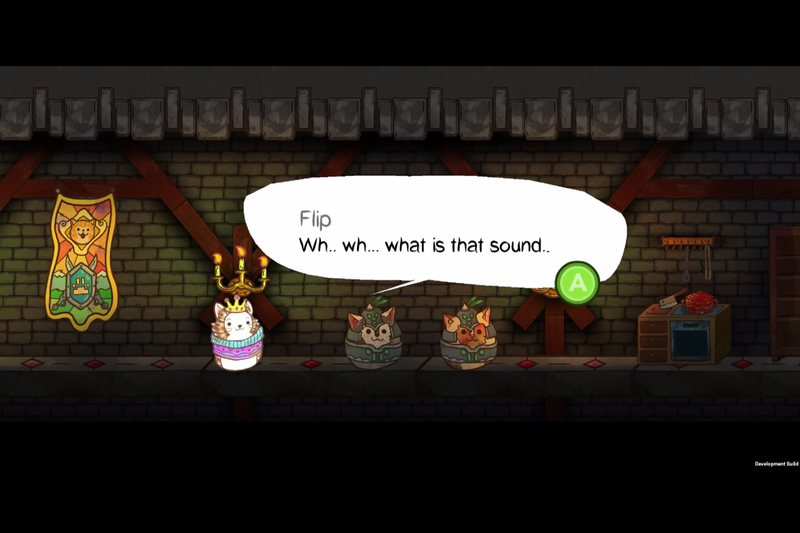 A Purrtato Tail started life in early 2016 as a stage-based puzzle game. It wasn't long before we felt a Metroidvania style game was a better fit for our Purrtatoes, and the current game then sprung to life! Connect characters together to form ramps and bridges and reach otherwise inaccessible platforms and areas. 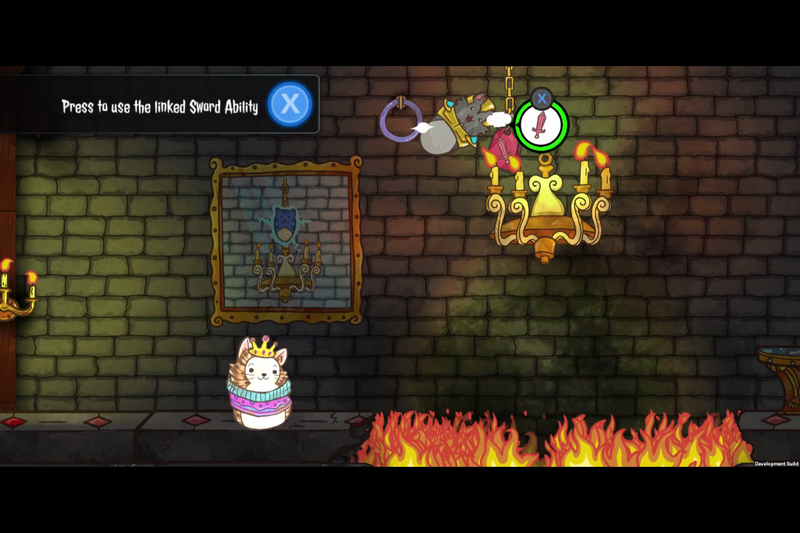 Utilize the unique abilities of each character - such as Sword to cut objects, and Manual Tail to operate machinery. Navigate through the open, 2D cat-themed land of The Isle of Moar. Solve mysteries - why was the Elderstar kidnapped? Who are these strange new Nightshades? Why has The Purrmato Empire turned evil? Adventure with a unique cast of cat-produce characters including Purrnapples, Purrsnips, Avocatos, Cat-Eggplants, and of course - the Purrtatoes. There are currently no logos or icons available for A Purrtato Tail: By the Light of the Elderstar. Check back later for more or contact us for specific requests! 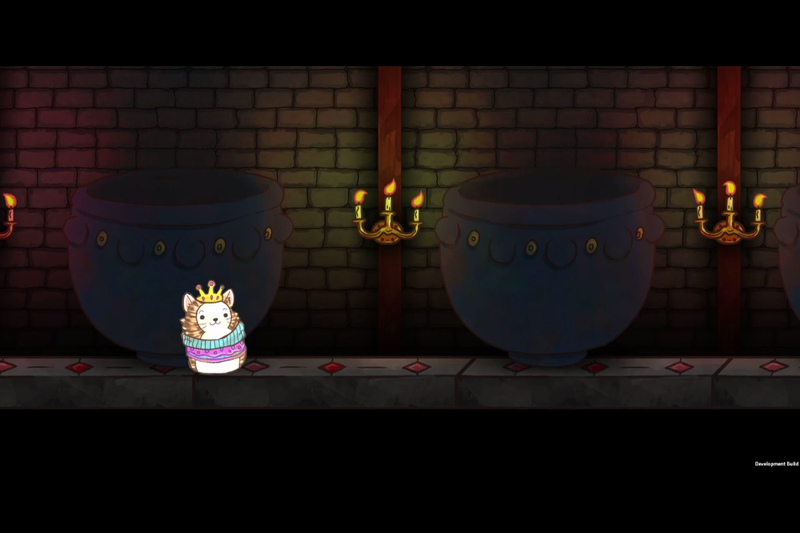 "Probably the best game about potato cats ever made." 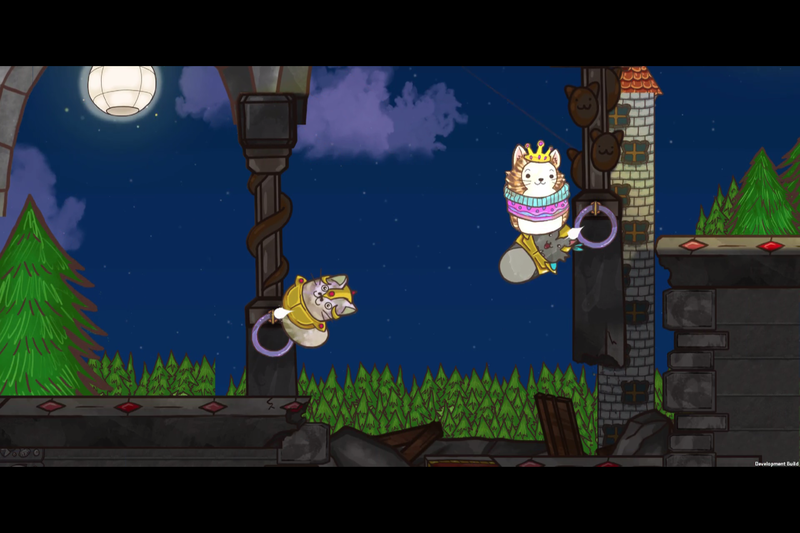 "A Purrtato Tail is a thoughtful mindbending game dressed up as a cute and charming puzzle platformer. World of Goo: RPG Edition." " The world where Watch Dogs 2 sits beside Mafia III beside Ladykiller[In a Bind] and beside A Purrtato Tail is the world I need to live in right now." - Katherine Cross, Sociologist, Social Critic, Game Writer, Itinerant Valkyrie, and Gamasutra columnist. The tale of how A Purrtato Tail went from a quick idea to a full game. favrohub.com. PewPewCat Interviews RedVonix about A Purrtato Tail pewpewcat.com. 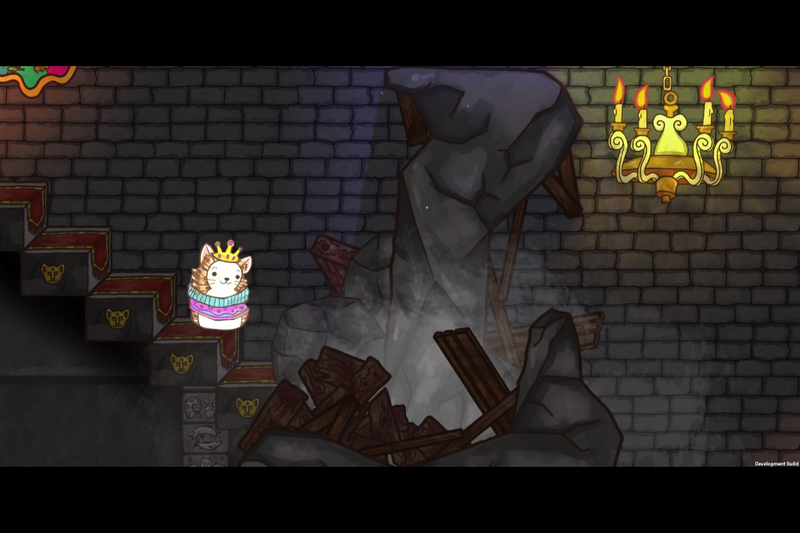 A Purrtato Tail on IndieDB indiedb.com. GameSlave interviews RedVonix about A Purrtato Tail during Denver Comic Con 2017. thegameslave.com. BionicBuzz interviews RedVonix about A Purrtato Tail during E3 2017. bionicbuzz.com. Cerulean Games is the client-focused development studio of indie game development veteran, RedVonix. We bring over 15 years of small-studio game development experience to the table on multiple platforms for everyone from major brands and celebrities to individuals, non-game software companies and museums. More information on Cerulean Games, our logo & relevant media are available here.